Some 850 UTAR students folded 51,065 paper boats in a day and gained a spot in the Malaysian Book of Records in Dewan Tun Dr Ling Liong Sik at UTAR Perak Campus in Kampar on 1 March 2013. The UTAR Indian Cultural & Language Society-organised event themed '4R - Recycle, Remake, Restyle and Renew' saw the UTAR students from different faculties registered themselves in the event to make history. They tore off pages from used magazines and folding them into paper boats in the grand hall and achieved the record-breaking fit folding in just under nine hours. "I would like to congratulate the committee members for doing such a great job," said UTAR Centre for Foundation Studies lecturer Muthualagan Thangavelu during the open ceremony at 8.00am. Muthualagan, the advisor to UTAR Indian Cultural and Language Society which organised the event, welcomed the participants and thanked the parties involved in making the event a success. The event, held to commemorate the fourth anniversary of the society, was officially launched by UTAR Council Member Hew Fen Yee. "Our target is to have 50,000 paper boats folded today. 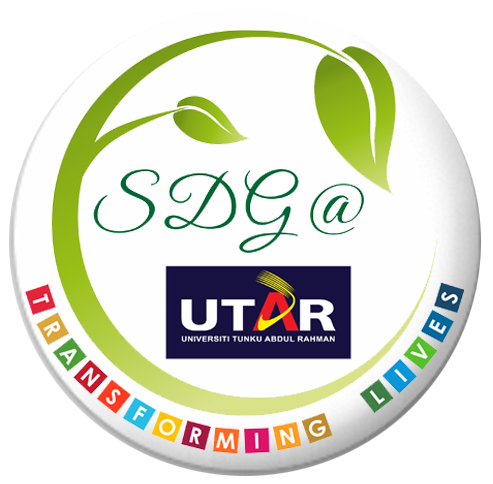 It is really exciting to know that we will bring UTAR's name to a higher level and at the same time raising awareness about recycling," said Organising Chairperson Deena Dineshwary Rajapal, who was glad that the preparation for the event had been smooth. She added that the funds raised from the registration fees collected and sales of paper boats as recycled material would be donated to charities. After almost nine finger-flicking hours of turning waste magazines into paper boats, everyone's face was lit with pride and the grand hall echoed with cheers when independent witness Suresh Kee See Leng from the Kampar District Council announced that the total number of paper boats folded was 51,065. "The large amount of paper boats reflects the perfect coordination of the students and the organisers in making this event a success," said Daniel Wa Wai How, personal assistant to Kampar MP and Deputy Home Minister Datuk Lee Chee Leong. He was delivering an address on behalf of Datuk Lee during the closing ceremony. He commended the participants and the organising committee for their remarkable attempt before presenting the Malaysian Book of Records certificate to representatives from UTAR Department of Student Affairs Theva Das Sankaran, Chai Lai San and Leong Lai Sim. The event came to an end with a lucky draw. Muthualagan handing a souvenir to Hew Fen Yee while Theva Das looks on. Wa (third from left) presenting the Malaysian Book of Records certificate to (from Wa's left) Theva Das, Chai and Leong, while Kee (second from left) and organising committee members look on.